Generative design is promising to revolutionize the way we design—by using algorithms inspired by the way in which bones grow in animals—to place material where it needs to be and removing it from where it doesn’t. Generative design is promising to shatter the old philosophy of form follows function and replace it with a new philosophy of form follows force. 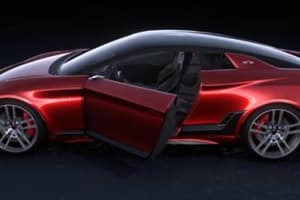 Here at engineering.com we have covered generative design in quite a lot of detail—it is definitely something of a ubiquitous topic on this website. But given the amount of coverage we devote to this topic and how it is promising to change the very world we live in, we have to ask this question: Where are all the products that have been promised? Pretty much every design software company is dipping its toe into the generative design pool, and they all have really pretty pictures of prototypes that have been designed with their various software packages. But is there more to the technology than fancy prototyping? When are we going to see these products appearing on our shelves? 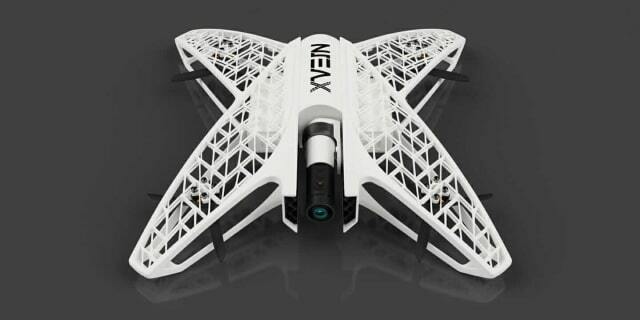 Is generative design even suited to mass production? 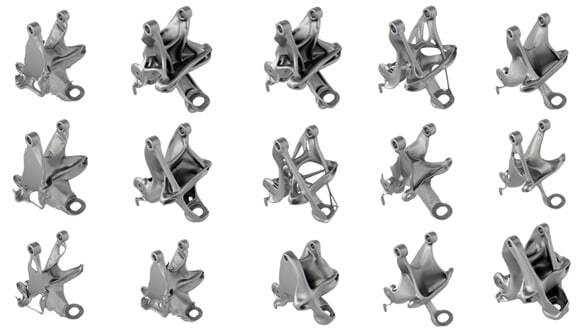 After all, generative design has been enabled by the growth of additive manufacturing, which currently still has a long way to go before reaching production run levels equal to those of the traditional manufacturing techniques used in mass production. We spoke to some of the companies involved in various aspects of generative design to ask those questions and more. 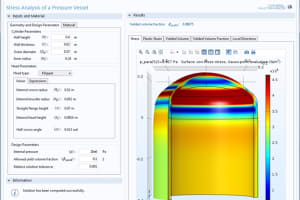 First up, we spoke to ANSYS, which is very much involved in generative design and topology optimization, particularly with its ANSYS AIM software. 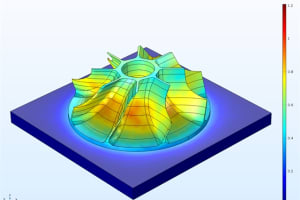 According to ANSYS, end-use products are indeed being manufactured as a result of generative design, but they’re still out of reach for the general public. 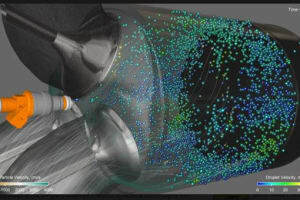 “The aerospace and defense community has rapidly adopted the ANSYS topology optimization for tasks such as lightweighting,” said Steve Pilz, Additive Manufacturing Engineering, ANSYS. So, the products are out there, but we just don’t have the security clearance to know exactly what they are. At the moment, the costs associated with generative design products at low scales of production are prohibitive for mainstream use. However, it’s not just cost that prohibits the technology’s widespread adoption in consumer goods. There are cultural considerations, too. But is that fear of consumer acceptance equal across the board? Or are there some industries that are less risk averse when it comes to new design paradigms? 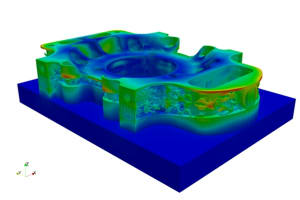 Given that additive manufacturing has been a powerful driver behind the recent surge of interest in generative design, and given that additive manufacturing is not exactly well suited for mass production (at the moment), you could be forgiven for thinking that generative design’s dependency on additive manufacturing is hindering the breakout of these products into mass production. 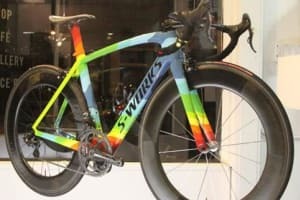 “Physics-driven design can be tailored to produce designs that can be made with traditional manufacturing techniques, such as extrusion, forging, casting, etc.,” said Pilz. 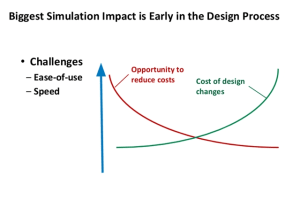 “While often not as optimal as designs driven without traditional manufacturing constraints, the unit costs can make optimization viable for lower cost/higher production run components. So, it’s clearly not a case of traditional manufacturing not being up to the job. It seems to be a case of how you adapt the generative design tools to be used with traditional manufacturing techniques. After all, if you use less material and still manage to reduce the number of tooling operations, the unit cost will still be reduced. Generative design is providing designers with new ways of looking at old problems. But when will we see these products hit the main stage? When will we see these goods in our living rooms? Next up from the CAE realm, we spoke to Ravi Akella, director of Product Management - Generative Design and Digital Manufacturing Simulation at Autodesk. Of course, the Autodesk software that Akella is referring to is the Autodesk Generative Design platform, which first appeared commercially in Autodesk Fusion 360 in April of this year. We covered that story here if you’d like to see how it works. 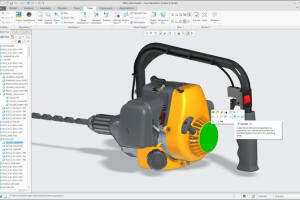 Anyone who has seen the Autodesk Generative Design platform (or its predecessor, Dreamcatcher) in action will agree that these tools can create some fairly mind-bending designs. But what is it going to take for designers to migrate these designs from prototypes into actual large-scale production? According to Autodesk, there are still cultural and technological hurdles to overcome first. So, we are seeing some sort of consensus among the CAD people—lowered costs in manufacturing will enable the move from expensive prototypes into cheap mass production. And slowly but surely, engineers and consumers are becoming accustomed to the strange new forms that generative design allows. 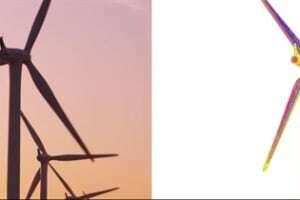 Therefore, which industries will be the first to bring these generative-designed parts to market? We speak to General Motors later in this article, so we will elaborate more on what Autodesk means by part consolidation later on. But generally speaking, when we think of parts being consolidated like this, we tend to be speaking of parts manufactured with additive manufacturing. The printing of multiple parts at one time means a reduction in assembly time, inventory and fastenings. But is the growth in generative design driven exclusively by additive manufacturing? This was definitely the case in the beginning, but Autodesk agrees that this is no longer necessarily the case. 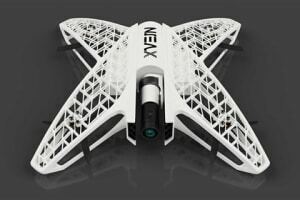 “Autodesk generative design produces geometrically complex designs that are manufacturable and practical with additive manufacturing,” confirmed Akella. “With every passing year, additive manufacturing is becoming more mainstream and accessible as costs come down and more materials are supported. 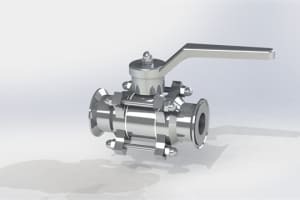 And, as we expand to producing designs that are suited to processes like machining, casting, etc., we will enable more and more customers to mass produce their generatively designed products. “Generative design is inherently about understanding requirements, from performance to materials to manufacturing processes, and providing engineers with a variety of practical, manufacturable options to make informed trade-offs between time to market, cost and performance,” he continued. “Ultimately, our goal is to enable designers and engineers to produce more, better, with less—more new ideas, products that better meet the needs of users, in less time and with less negative impact on the environment. Autodesk generative design will not be tied to one manufacturing method in the future,” said Akella. That’s good news for traditional manufacturers. Generative design is not just for those with high-end metal printers, but for anybody with a CNC-enabled workshop and access to generative-designed software. So, it appears that Autodesk is gearing up for the generative design. When will we start to see products designed with generative design become mainstream? Like ANSYS, Autodesk is optimistic that we will see them soon. 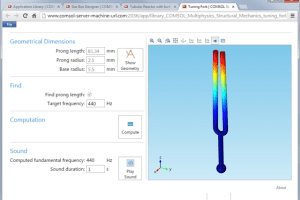 That comment is a reflection of what we heard from ANSYS. High-value, low-volume products, such as those in aerospace, automotive sports, and medical devices would fit that description. That’s all from the CAD/CAE folks who are leading the charge into generative design. Now let’s see what the product designers and manufacturers have to say. When we think of a utopian future of generative design, one image that is conjured up is that of architecture. We envision gleaming, sinewy spires taking loads where they need to be in an efficient, organic fashion. There is a lot of room for generative design disruption in the built environment, ranging from mass-produced fixtures and brackets, to concrete structures 3D printed on the spot. Construction consultancy firm Arup Group has been looking at generative design for quite some time. We spoke to Salomé Galjaard, senior product and interaction designer in Arup's Amsterdam office to get the lowdown on how the built environment is utilizing generative design. As you can see from the image of tensegrity nodes that follows, Arup has been involved in designing fixtures for use in architectural projects. The image shows the evolution of so-called tensegrity nodes, from a traditional design on the left, to a fully generative design-based product on the right. “We wanted to investigate the potential applications of 3D printing, and for that we looked at one of the existing projects which I had personally worked on, which was a series of tensegrity structures,” said Galjaard.“We were designing them for the main shopping center in The Hague. The dynamic or irregular shape of the tensegrities (we call them structural nodes) were so varied—we had 1,600 different nodes and 1,200 design variations. That was perfectly fine from a structural point of view, but these variations in design make production very complex, and at the time, we couldn’t really solve that problem in a smart way. We would have probably had to have made them by hand at the time. It’s worth noting that Galjaard and Arup designed these tensegrity structures a few years ago and announced them to the world back in June 2014. 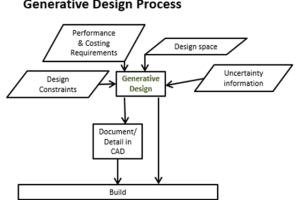 The generative design landscape was still very much in its infancy and there weren’t as many software options available to perform generative design back then. 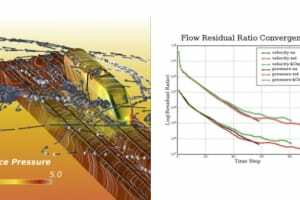 It was therefore still very much a case of trial and error for Arup to arrive at a solution that it was satisfied with. “We tried various software to get to the final iteration,” said Galjaard. “You can see in the picture we show two design iterations—the middle one that is still quite similar visually to the original node was our first iteration. And you can see version 2.0, the second iteration on the far right—this is where we really made the big step with the freedom of form with 3D printing in mind. As with the other companies we spoke to, Arup is aware of the cultural hurdles associated with bringing generative design to the masses. “If you look at our models, especially the 2.0 version, this is not something that the human mind can conceive—well, not me at least!” noted Galjaard. “I’m working on multiple topics that feature technology that is considered new and we consider being essential to the building sector, or to society as a whole. And the real threat that is common to this thinking is that it’s not really the technology or ideas that are holding us back; it’s really people management and people unwilling to accept change—complete change, value change, all happening at the same time. “What you’re seeing with 3D printing is they prefer to take traditional manufacturing out and put 3D printing in without changing anything around that, and this approach isn’t going to work. These new technologies will only be allowed to work if you allow the context around it to also adapt, and it’s not as simple as people want it to be sometimes. 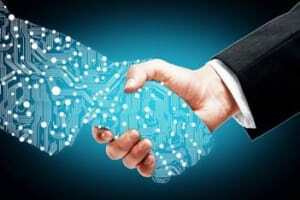 It may take a little bit of time [to reach mass adoption],” said Galjaard. Of course, architectural projects operate on different time scales compared to consumer product development lifecycles, and this is another reason why civil engineering and the built environment are slow to adopt the technology. “I think there are multiple reasons [for low production adoption] working at the same time. One is the time frame we are working at with the development of designs and the construction of buildings. If we have an idea now, you will only see that built on-site in say five years from now. We work in a complex value chain where no one has complete control over the final results, so it is a lot of different people and a lot of different companies that have to move at the same time or at least following in a series, and what you see in these processes is that they all start with wonderful ideas and throughout the years and the phases they become victim to planning pressure and costs and worries,etc., so a lot of new ideas and challenges are just designed out,” explained Galjaard. Again, it is the cultural reluctance to embrace new ideas that is preventing the widespread acceptance and usage of products and processes related to generative design. Galjaard is confident, however, that technology is up to the task. 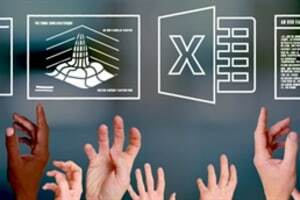 So, there you have it—the built environment sector is also optimistic about the applications of generative design, but like everyone else, they are wary of the cultural hurdles associated with the uptake of new technologies, especially in a safety conscious industry such as construction. 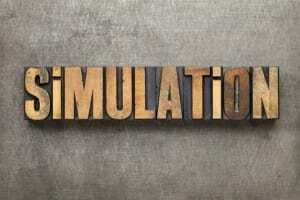 As Galjaard mentioned, it’s just a matter of proving that the technology works, and demonstrating the products until they reach a point of maturity where everyone realizes that the benefits of the technology outweigh the costs—be they financial or cultural. We mentioned earlier that Autodesk has been working with automanufacturing giant General Motors on a variety of generative design-related items. From GM, we spoke to Kevin Quinn, director of additive manufacturing, to see exactly how the vehicle manufacturer has been bringing generative design to the masses—or has it? So, like the other companies we spoke to, GM is optimistic that the move to production-level parts is just on the horizon. But what’s the holdup? Generative design has been around for a few years already. Why are companies reluctant to move from prototype into production? “I am unable speak to what other companies think, but I can tell you that at GM we explore many options to lightweight our vehicles,” said Quinn. From that statement, we can see that generative design is indeed synonymous with additive manufacturing for the most part. And Quinn confirms that. “At GM, we see great potential for generative design combined with additive manufacturing processes to enable part designs that are lightweight with the performance criteria we expect,” he continued. “Metal 3D printing costs are still relatively high in comparison to traditional manufacturing methods. GM has taken a leadership role working with the 3D print industry to advance capabilities,” said Quinn. 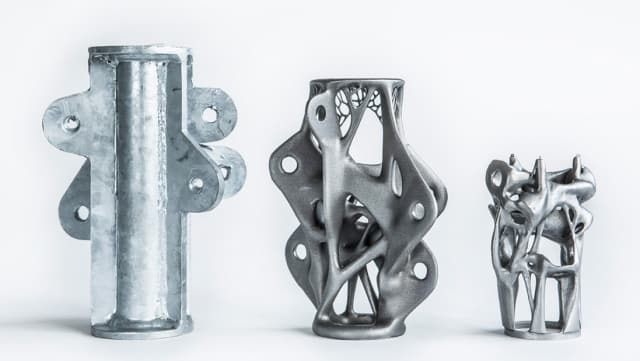 Although there is a kind of symbiotic relationship between additive manufacturing and generative design, GM does see generative design branching out into other, more traditional forms of manufacturing. So, GM is all in with additive manufacturing (as long as the performance benefits of the part being manufactured outweigh the other costs, but how long does the company think it will take for generative-designed products to reach the main stage? We have had some insights from a wide range of industries and from different roles within those industries. We can all agree that additive manufacturing is the key enabler of this technology. So, to round things off we spoke to Scott Kraemer, production development engineer at 3D printer manufacturer Carbon, to see how the actual additive manufacturing companies view the future of generative design. First up, we asked Carbon if it had heard of any production-level parts being manufactured with its system. 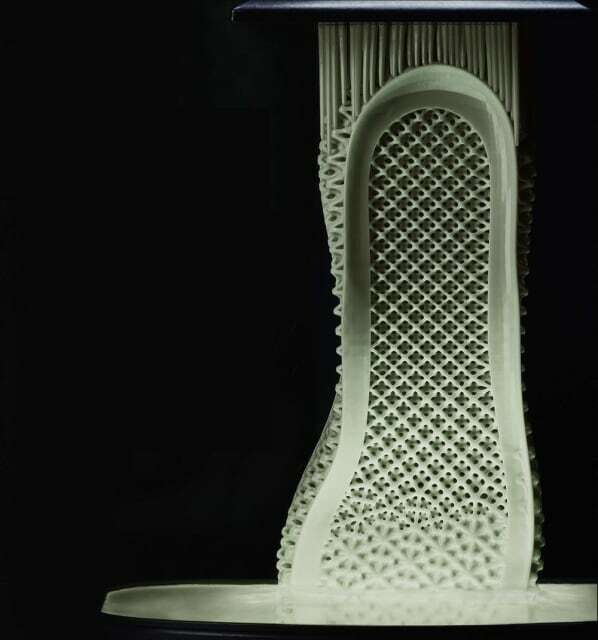 “Carbon’s proprietary Digital Light Synthesis (DLS) technology and programmable liquid resins drove the production and iteration process of Adidas Futurecraft 4D, a high-performance athletic shoe that is currently slated for 100,000 pairs in 2018 and millions following that,” Kraemer revealed. Boom! We have caught our snipe! Yes, Carbon is totally onboard the mass production train! We asked Carbon the same question that we asked the other companies. Why are companies reluctant to move from generative design prototypes into full-scale production? “The $12 trillion manufacturing industry is slow to change because it can be expensive to modify manufacturing processes, and many companies are set in their existing supply chains,” replied Kraemer (echoing Arup’s sentiments). Now we have found our unicorn. The Adidas project provides a fine example of how generative design is coming into our homes enmasse. Let’s hear some more about that product from Carbon and how generative design has enabled that product to come to fruition. “Carbon’s rapid product development process enabled Adidas to iterate over 50 different lattices for the midsole before landing on the current design,” continued Kraemer. For anyone who has seen the Carbon 3D printer at work, it is very fast indeed, so this does contribute to the fast iterative cycle and, consequently, the rapid production process that is allowing millions of pairs of sneakers to hit the streets. Other 3D printer systems are still a little on the slow side, so that would explain why Carbon seems to havethe edge. You can see the Carbon printer in action in the video below. And Carbon is not planning to rest on its laurels now that it has the edge. Carbon is optimistic that the future of generative designed consumer goods is indeed just around the corner, and it does see it self as a leader in this field. “Transforming the traditional manufacturing sector will involve people, processes and technology to all come together for generative-designed products to become mainstream,” said Kraemer. 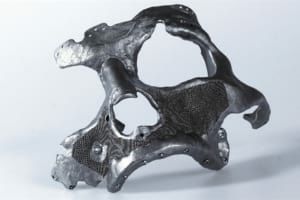 “Along with Carbon there are already a handful of companies out there simplifying generative-designed products with additive manufacturing (like Desktop Metal for the metal additive manufacturing space). You can also see the Carbon video of their collaboration with Vitamix below. What can we conclude from speaking to these companies? Well, the consumer products created with generative design are already hitting our shelves in the form of the Adidas sneakers and Vitamix blender nozzles, and we should expect more products to follow in the form of sporting goods, cell phone cases and home appliances. Of course, there will be more products in the defense and aerospace sector, but they are super-secret and don’t really count as consumer goods,which is the focusof this article. From GM, we can expect to see lightweighted parts appearing on vehicles in the near future, but as GM hassaid, this will depend on the performance benefits of the parts. 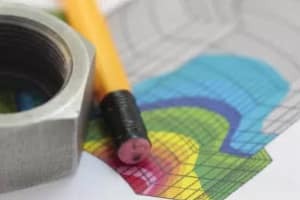 Regarding the cultural obstacles preventing mass adoption, we can say that the experts largely agree that there needs to be a holistic change in the product development workflow that is bespoke to the generative design (and additive manufacturing) process. Companies should not think that they can reap the benefits of these technologies as long as they have a mind-set that is rooted in legacy processes. 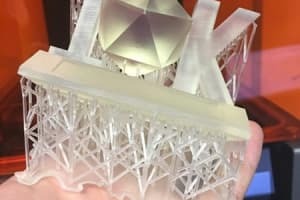 But that said, the experts all seem to agree that while generative design is driven by additive manufacturing, it is not exclusive to 3D printing, and companies involved in casting could stand to benefit from generative design (as long as they modify their mind-set and workflow accordingly). And, of course, there is the issue of social acceptance of these weird organic forms. How long will it take for the public to embrace these products? Who knows? If Carbon’s order book is anything to go by, the public is on its way to accepting them even as we speak. But like the cultural changes inside companies, societal changes will also require an incremental approach before gaining acceptance. 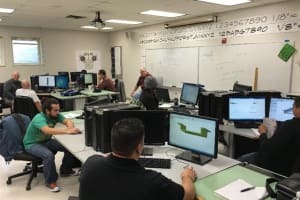 Conclusively, we are going to see a lot more companies adopting this approach to design and manufacturingover the next couple of years, and you can be sure that we will let you know of the latest product releases that are made with generative design here on engineering.com when and as they happen. That just leaves one question: Are they generative designed or generatively designed products? We’re probably going to need some consensus on the exact terminology to use. Semantics experts: let us know what you think in the comments!